Make your home feel a lot more warming and welcoming by introducing this beautiful Set Of 2 Dog Bookends. 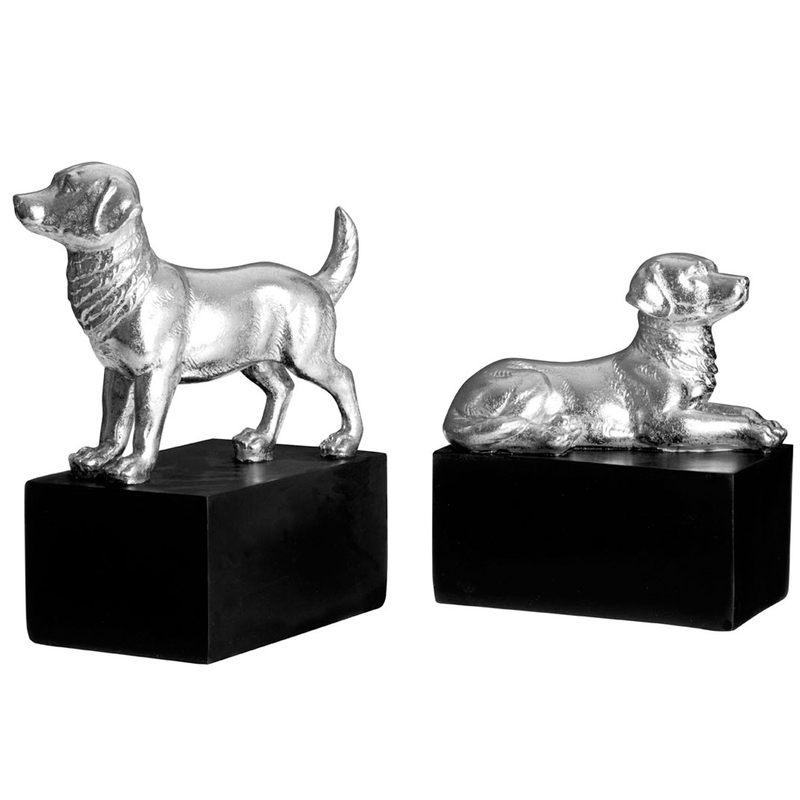 These bookends have a black base, holding up a lovely ornament of a dog. These dogs are both in different positions to add some variety, one is standing and the other is laid down. These dogs have been given a silver colour to stand out even more and look especially modern.